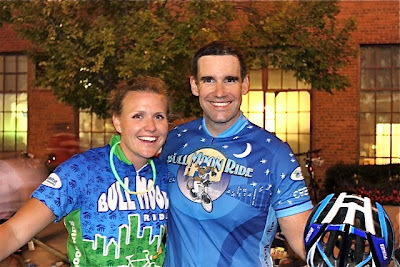 When you stage an annual event, the challenge is year-over-year growth, and we're very pleased with the results of Saturday night's Bull Moon bike ride for Habitat of Durham. 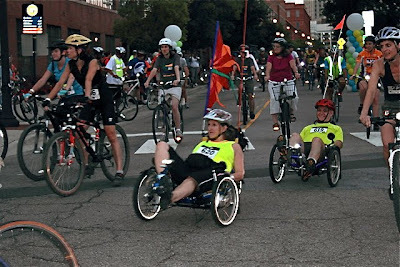 653 cyclists meandered through dusky downtown Durham. That's about 80 more riders than last year. They raised over $30K. We're headed in the right direction! Cycling begins at the Durham Bulls Athletic Park. Bull Riders (and Bulls' managers) Mary Beth Warfford and Matt DeMargel. alongside Molly Boyce who was too busy to pose for a photo. HABITAT FOR HUMANITY OF DURHAM IS A NON-PROFIT, CHRISTIAN HOUSING MINISTRY THAT BUILDS, REPAIRS AND SELLS DECENT, AFFORDABLE AND SUSTAINABLE HOMES IN PARTNERSHIP WITH PEOPLE IN NEED AND COMMUNITIES THAT CARE. 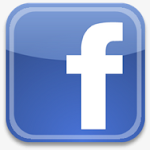 WE ARE A NON-PROFIT HOUSING ORGANIZATION THAT BELIEVES DECENT HOUSING IS A MATTER OF CONSCIENCE AND ACTION. Founded in 1985, we have broken ground on more than 250 homes for working families in Durham whose housing is unsound, unsafe or overcrowded. We are the banker and the builder. We build, repair and sell new homes at no interest. The no-interest loans, as well as donations of time and money, allow us to offer an affordable mortgage payment to families who don't qualify for traditional mortgages. In addition to new homes, we repair homes and beautifying neighborhoods through A Brush With Kindness. Through these efforts we transform and stabilize neighborhoods.